Planning and Zoning Commission Chairman Laszlo Papp announces the commission has withdrawn its proposal to create a Business Zone D at Tuesday night's meeting at the New Canaan Nature Center. The Planning and Zoning Commission withdrew the application to create a new Business Zone D in New Canaan, following upheaval from the public. 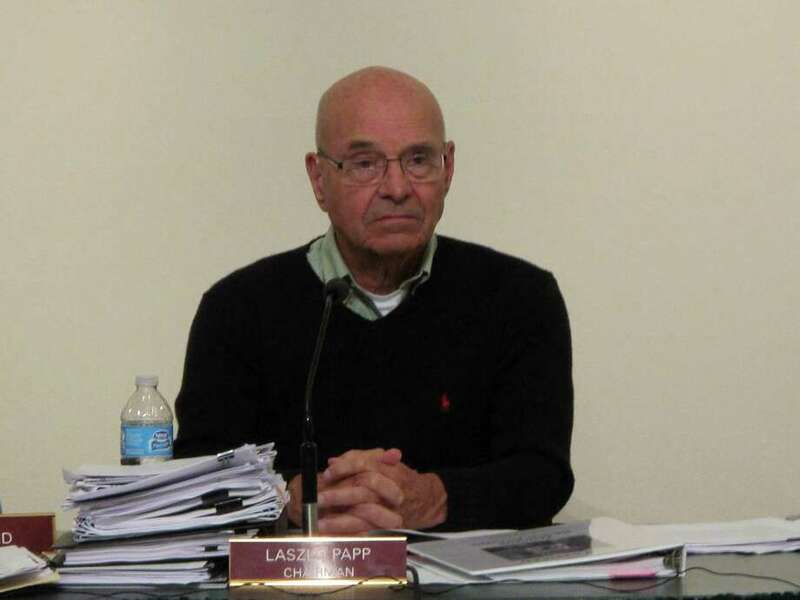 "My recommendation is to withdraw the application and take it up again in a more explained way probably after the Plan of Conservation and Design is completed," P&Z Chairman Laszlo Papp said at Tuesday night's meeting. Currently, there are three business zones: C is for office buildings, B is for industrial businesses and A is for basically all other businesses that aren't small retail stores. Zone C is confined to a very small area around Cherry and Locust streets. There is a small amount of Zone B in the eastern periphery of downtown -- where Hoyt Livery and the New Canaan Auto Repair are located -- and a small parcel west of downtown, where Food Emporium and Weed and Duryea are located. Town Planner Steve Kleppin suggested changing Zone B in the western part of town to a Zone D. The idea was to keep the regulations in place until studies were done, at which point they would change the them to optimize the area. Though Kleppin and Papp assured the public that the changes would not alter the character of the downtown area, several people in town raised questions. Among those questions were why the town would make a change in zoning classification for the area if it didn't have plans. "I agree (withdrawing the application) is the right thing to do, until after the POCD and we define how the pieces fit into it," P&Z member John Flinn said. "Let's have a master plan before we go building the elements."